The season will run between April and May this year with 22 events featuring food writers, Michelin-starred chefs, seasoned campaigners, expert food makers, published historians and food scientists. Especially pleasing are the strong links between the Season and the OSFC. On the 23rd May a day-long Food Wikieditathon organised by the Library and the OSFC will be held. This builds on a four-year collaboration aimed at training people in the arts of Wikiediting to help improve food-related Wiki content. Connecting this with the Food Season allows us to showcase the work of the OSFC to BL audiences and vice versa. Places are limited to 25 so be sure to register early. Image: from Beeton’s Every-day Cookery and Housekeeping Book, etc. by Isabella Mary Beeton. In addition to the Wikieditathon, there are a number of speakers involved in the Food Season who are closely associated with the Symposium. To mark the season’s start, OSFC President and celebrated cookery writer Claudia Roden will discuss Writing about Food with the author of Mountain Berries and Dessert Spice Sumayya Usmani. Later in the month former OSFC Trustee, cookery publisher and food writer Jill Norman will be chairing a lively discussion titled The Art of the Cookery Book with the renowned food historian and OSFC member Anne Willan. Other speakers associated with the OSFC include Chinese food expert Fuchsia Dunlop speaking about Chinese Cooking Past and Present with Ching He Huang and cheese experts Bronwen & Francis Percival, authors of Reinventing the Wheel who presented so memorably at last year’s Symposium and who will be leading a tasting titled Terroir in Cheese and Wine at the BL on 3rd May. •	The politics of food will be up for discussion when Cooking on a Bootstrap author Jack Munroe meets in conversation with life-long food justice activist Joanna Blythman on the 12th April. •	The future of food in the context of Brexit will be debated at Cooking Up Food Policy from Scratch on the 16th April by Chief Executive of Sustain: the Alliance for Food and Farming, author of Hungry City Carolyn Steel and food activist and journalist Felicity Lawrence. 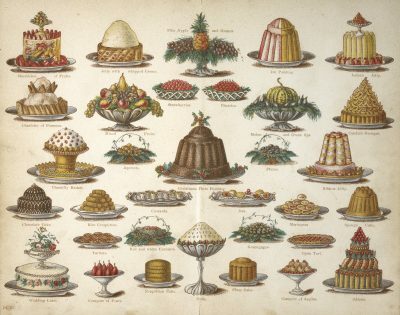 •	On the 20th April at Victoria’s Kitchen we welcome food historian and author of The Greedy Queen, Dr Annie Gray, and the Michelin-starred chefs Marcus Wareing and Ashley Palmer-Watts to reflect on the legacy of Victorian dining. •	On 24th April cookery writer and winner of Sunday Times Food Book of the Year Samin Nosrat, will be discussing Salt, Fat, Acid, Heat with food critic Fay Maschler and chef Jeremy Lee. •	On the 5th May cookery writer Jenny Linford will be discussing her recently published The Missing Ingredient: The Curious Role of Time in Food and Flavour. •	Taste and Technology will be on trial on the 8th May when Modernist Cuisine’s head chef Francisco Migoya, material scientist Mark Miodownik and experimental psychologist Charles Spence discuss tradition and modernity in food. •	To kick-start Saturday 12th May, coffee blogger Brian Williams will introduce the history and origins of coffee served alongside a selection of tasting from Origin Coffee. I’ve mentioned here just a selection of the season’s events but for a full listing and links to booking pages please visit BL Food Season. I am hoping the Season will be a resounding success so that food continues to be focus for events at the British Library in the future and so that we can build on future collaborations with the OSFC. This entry was posted in Blog, News by fiona sinclair. Bookmark the permalink.